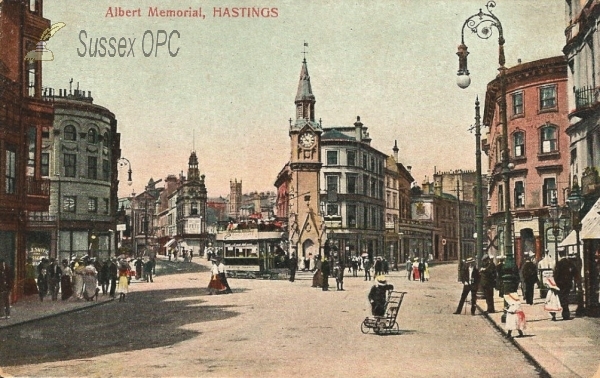 Robertson Street, Hastings, East Sussex. Grid reference: 581520, 109357, View on: Google Maps, Open Street Map, Streetmap, National Library of Scotland Map or Oldmaps. First church on site (1856) was in the Lombardic Gothic style. Now United Reformed Church.